Alfa Romeo stirs the emotions with its rich history and captivating mix of state-of-the-art technology, race-inspired performance and seductive styling. Born in Milan, Italy, Alfa Romeo has always sought the perfect balance of these elements to fashion form on substance, without it becoming mere function. 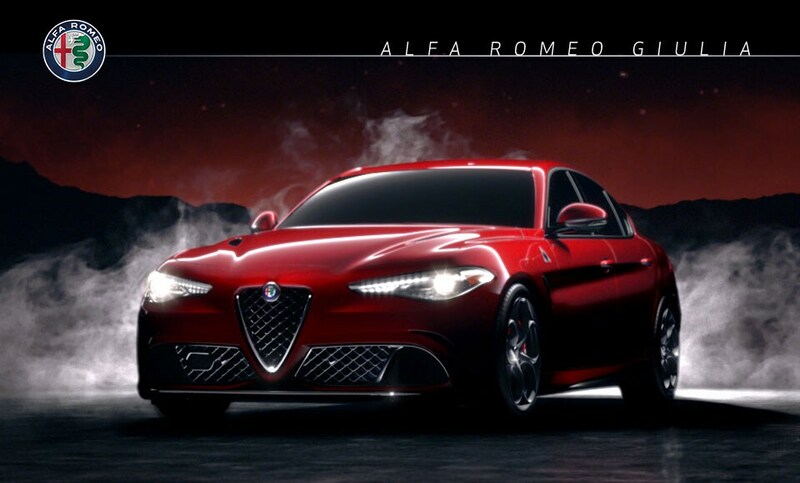 The all-new Alfa Romeo Giulia provokes the senses and is quintessentially Italian and unmistakably Alfa Romeo. Paramount for the driving pleasure of the all-new Giulia Quadrifoglio is a perfect 50/50 weight distribution, providing the driver with the ultimate balance of power and control. This impressive weight distribution is obtained by clever weight management and the use of class-exclusive technical materials, including carbon fiber, which is three times stronger and seven times lighter than steel. Carbon Fiber has been used throughout the design of the vehicle, including the driveshaft, hood, roof and front seat frames. Aluminum is used extensively for other body parts and key mechanical components, including the engine and suspension. Carbon ceramic brakes provide the Giulia Quadrifoglio with exceptional braking performance under all conditions, while reducing the overall weight. This high-performance sedan offers class-exclusive technologies for first-rate dynamic performance and driving pleasure. Giulia Quadrifoglio is the only sedan in the world to be equipped with an active aero front splitter. This adjustable carbon fiber spoiler is integrated into the front lower fascia and is automatically lowered to increase performance and handling at high speeds. Torque vectoring technology further positions Giulia Quadrifoglio at the top of the segment. This system allows the rear differential to separately control torque delivery to each wheel in all situations to foster rapid response and real-time stability on all surfaces. An Alfa Romeo always stands out for the innovation of its engine. Throughout its rich 105 year history, Alfa Romeo has introduced many industry firsts with innovative technologies that contribute to class-leading performance. The Giulia Quadrifoglio follows in this tradition with an all-new Bi-Turbo V6 – generating 505 horsepower(1), making it Alfa Romeo’s most powerful production car engine ever. This advanced engine also comes equipped with an electronically controlled cylinder deactivation system that provides best-in-class thermodynamic efficiency with class-leading power and sensational torque. The Giulia Quadrifoglio’s use of ultra-light, high-strength materials, class-exclusive technologies and supercar power and handling convert into priceless driving dynamics. This is Alfa Romeo spirit in its purest form. (1) Estimated horsepower based on manufacturer testing. (2) Power to Weight is based upon manufacturer-reported horsepower and curb weight in the Luxury Mid-Size Car Segment. (3) Based on the Latest Available Manufacturer Testing. Actual results may vary. +Based on European pre-production model. Luxury Mid-Size Car Segment.